Right after I got the new album of the divine diva Zsa Zsa Padilla, I quickly played the song she composed ‘All Cried Out’ and compared it with the ‘All Cried Out’ debut single of American Idol season 12 First runner-up Kree Harrison. Kree’s version was praised because of the vocal runs and phrasing. Their version’s lyrics focuses on dwelling in the pain and hurt and finding the strength when you are down and all cried out while Ms ZsaZsa’s composition brings into line the struggling and striving hard of making things work out after letting go of the person who no longer cares and made you all cried out. 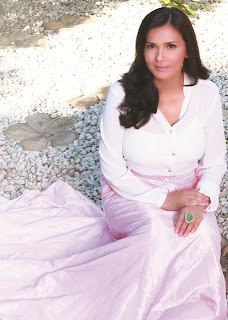 Following the record-breaking success of her first project under PolyEast Records in 2009’s “Unchanging Love”, Zsa Zsa Padilla releases a new album ‘PALAGI’ featuring 10 OPM songs, with 8 original compositions and two covers; ‘Without You’ originally by Joey Albert and ‘Maging Sino Ka Man’ a duet with the Concert King Martin Nievera and now used as a themesong in the ABS-CBN hit Fanta serye ‘Juan Dela Cruz’. “Palagi” is Zsa Zsa’s newest studio album in over four years, featuring songs written and produced by an array of talented musicians including Louie Ocampo, Rey Valera, Francis Salazar, Diana Dayao-Martin, Keith Martin and PolyEast Records A&R Manager Chito Ilagan. Zsa Zsa debuted her singing career in 1983, the year I was born. That’s 3 decades of OPM power ballads. I never even thought that time would come that I would meet her and at times get to have little conversation with her thru twitter. I’m a fan; not just of Ms Zsashing but also of her daughters Karylle and Zia who are equally talented and amazing as her. Ms. ZsaZsa is not just beautiful outside but more so inside. She defines class & elegance in whatever she does. She is also one of the greatest actresses the entertainment industry has. She has not only sustained a long string of hits but has also carried with her timeless beauty and divine voice over the years. She truly lives up to her title as the Divine Diva.